As of this writing, the Carrier family has moved from Kenya to Uganda and we have been adjusting to our new home and community for about the past two weeks. For the most part, the transition has been remarkably smooth, mostly because we’ve been in Kenya already and there are many similarities. As well, Marc and Isaiah both spent quite some time in Uganda as our home was being built, so we were pretty much in move-in condition when we arrived. 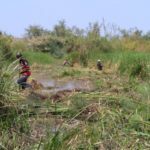 We had to drive our large family in two shifts: Marc with the older children, the two dogs and three cats, and some of our household supplies and tools on trip one. On trip two, the younger children and me (Cindy) with clothes, school books, and whatever else remained of our household items. The animals needed more paperwork to cross the border than most of us people did, but they made the trip unexpectedly well and have adjusted as can be expected. 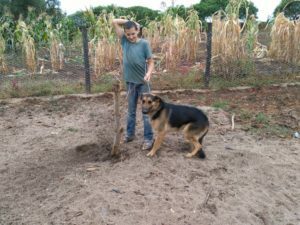 Except for our big German Shepherd male, Rex…he had been in the habit of getting out of our fenced yard in Kenya in order to “sow his wild oats,” as they say. In this regard, he was incorrigible, and we were constantly repairing the fence where he ripped holes in it with his teeth or where he dug under to escape. Here, we proactively engineered our fence to be “Rex-proof,” and we are happy to report success! However, Rex is not exactly happy with the new arrangement and has taken it upon himself to chew anything and everything that gets left outside overnight. In lieu of any such items, he has consistently uprooted one of the trees in our front yard. We dig and re-plant, he digs and uproots. And repeat. But at least he stays in the yard. 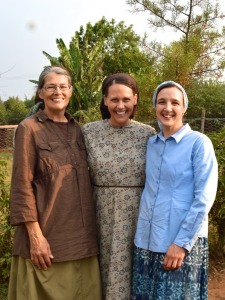 We began our life in Kenya with no electricity or running water. Here, Isaiah had spent enough time before our arrival that we were wired for solar, with lighting in every room. 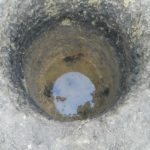 However, our attempt at digging a borehole (which we would develop into a well) dramatically failed, so we are back to fetching water, washing dishes outside and sponge-bathing in basins, etc. Isaiah made a pretty neat set-up in our dining area for easy hand washing and also a spigot for drinking water, which adds a small level of convenience. We quickly discovered that although the locals drink the lake water, it’s really not a great idea. (It’s brown…has stuff floating in it…and is kind of swampy-smelling.) 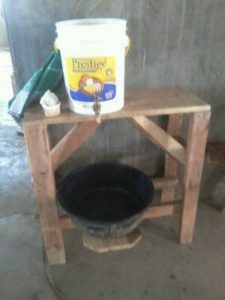 We add some bleach to it and use it for laundry, bathing, dish washing, and hand washing, but one of our neighbors gets us clean water for drinking and cooking from a local school (about 4 km away) for a decent price as often as we need it. Praise the Lord! 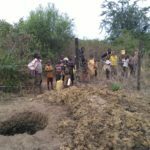 I’m sure the Lord allowed the failure of the borehole, as afterwards a KDM donor who had previously funded a water project in Kenya offered to assist with digging a community borehole on our property. It will be developed with a pump for clean water. That project is now underway, and we look forward to what it will mean not only to us, but our entire community. So, yes, we’re on Lake Victoria, which is a big excitement for the kids. They spent quite a long time observing a species of monkey different than the ubiquitous Colobus monkeys of Kenya. 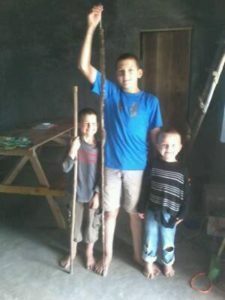 We’ve studied all the local species of snakes (at least, until our “Reptiles and Amphibians of East Africa” book got left outside and chewed on by Rex…ugh…), and when Jonah, Micah, and Enoch went down to the lake one afternoon, they found a Black Mamba skin about 6 feet long! Though I’m glad they didn’t meet him face-to-face, we now make sure they do all their adventuring in pairs or threes. All carry hefty wooden sticks (for confirming that brush areas are clear of snakes, and for defending against any snakes that chance to be laying around!) and big kids carry pangas (machetes), just in case. 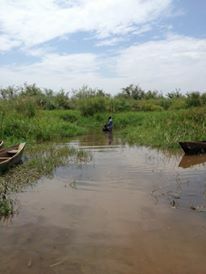 Our access to Lake Victoria is disappointingly inadequate, as it is very overgrown, marshy and muddy. 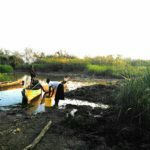 We’ve decided to try and have it cleared, in hopes that we will one day be able to walk into the water, maybe even from a beach, or at least launch a small boat (something all the children are looking forward to). The selection at the market is not really what we’ve been used to in Kenya. 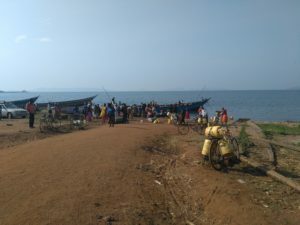 Fruits and vegetables are pretty limited, which I find difficult, but fish, as you can imagine on Lake Victoria, is plentiful and cheap–a welcome change! We’re having to adjust our eating habits once again as we rely on market days for fresh food, since the local shops really don’t offer much by way of variety–only staples like flour, sugar, baking powder, rice, oil, and eggs. It’s quite a trip to get any unusual items that we use with some regularity, like my instant coffee, margarine, simple seasonings, vinegar, and “Irish potatoes” (white potatoes, as opposed to the local sweet potatoes), so that’s an adjustment as well. We definitely appreciate that Ugandan food prices, thus far, seem to be better on the budget than those in Kenya. Mission-wise, things are progressing slow-and-steady. 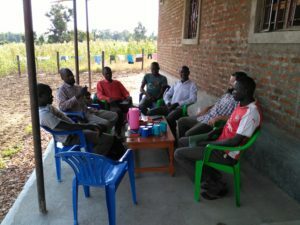 Because Marc and Isaiah spent some time here before our move (along with our Kenya evangelists/teachers Lazarus and Nashon), there was a small fellowship already established prior to our permanent arrival. Marc has been teaching a small group of guys a couple of days per week, as well as meeting up with many of them during the week for one-on-one conversations and discipleship. 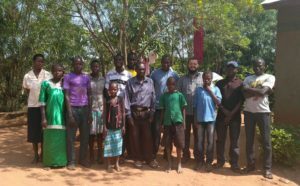 Nashon has been living on our compound in one of two small mud houses, so he also visits with a lot of the guys and continues to teach seekers and evangelize in new areas locally. In Kenya, we had to start the mission with a mzungu face because we didn’t have a Kenyan partner for quite some time. It is nice that now our goal can be realized: minimizing the mzungu so that a sustainable, reproducible mission will develop–hopefully more quickly than it did in Kenya. 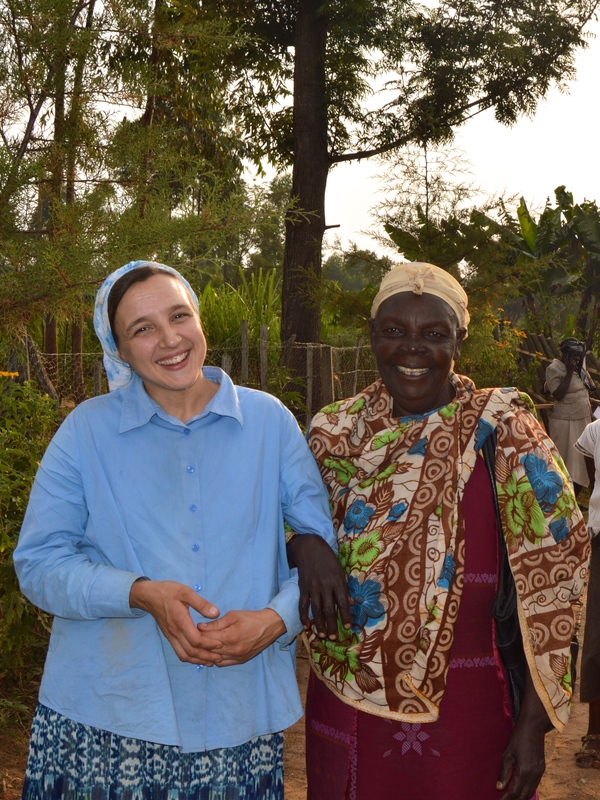 I would say that Marc is a bit uncomfortable with the comparatively slow pace of the mission; he had been very busy in Kenya and enjoys being productive with his time, especially as concerns the things of the Kingdom. Yet I have heard him counsel many others that “sometimes you have to go slow to go fast.” Perhaps this is just a time when he needs to take his own advice! 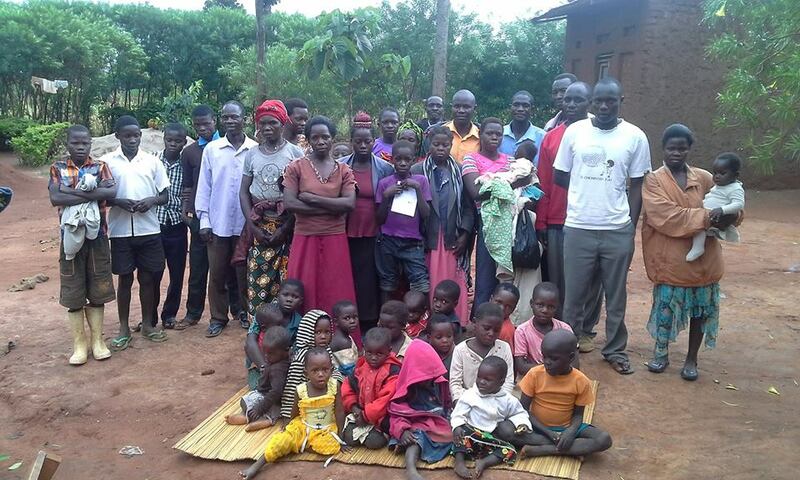 Thanks to all those who have supported us financially and especially through prayer as we have transitioned to Uganda. We look forward to seeing what God will continue to do in this new place! It might sound like a fairy tale or perhaps an ancient tale of the apostles dividing the world among themselves, and conquering them for the Lord. You may wonder and say to yourself, “Am I reading an account of St. Thomas evangelizing the villages of Asia, or is it St. Peter preaching in the city of Rome?” Believe me, this is far away from a fairy tale, though many centuries away from the ancient accounts of the Lord’s apostles. This is a story to tell, a tale of two young, devoted evangelists, full of zeal and enthusiasm for the Kingdom of God. A marvelous tale of Nashon Ouma and Isaiah Carrier, the carriers and pioneers of the gospel to the rural villagers of the nation of Uganda. This is a story about Isaiah Carrier age 17, the eldest son of Marc and Cindy Carrier, the missionaries from America sojourning in the land of Ham, and Nashon Ouma, age 25, the eldest son of Wilson, both disciples and natives of Kenya. In one way or the other their souls are deeply entwined like David the son of Jesse and Jonathan the son of King Saul. Surely these must be the doings of the Lord. How could it be otherwise in this world of conflict and hatred and racial discrimination? Nashon and Isaiah are normal and ordinary young men just like any other young men. What distinguishes them is that they are here on a greater mission, with a greater set of responsibilities and a greater accountability to the one who sent them to all nations. Their lives are demanding though they are still youths. Their lives are trials. Their journey is rough and tough. It is not a journey for the faint hearts or for those seeking pleasure and repose here on Earth. Do you think is an easy occupation to be an evangelist? No, it is not easy and it had never been easy, even the accounts of the apostles concur with this truth. In the Acts of the Saint Thomas the apostles are shown dividing the nations among themselves for the evangelistic activity. When Thomas was assigned India, he protested, ”I cannot go there because of the fatigue of the body on the journey, for I am a Hebrew.” Jesus then appeared to Thomas, urging him to go to India, but he continued to resist, saying , ”I would that thou wouldst send me into another country, for unto the country of India I cannot go.” It was not until our Lord appeared himself to Abbanes a merchant from India, and sold Thomas to him as a slave. Thomas recognized himself as Jesus’ slave, yielded, and thus went to India as a slave of Abbanes the merchant. The result was he baptized many many people and until today he is recognized as the father of the Asian church. It was the same story, too, with Nashon and Isaiah, genuine hesitations: “We don’t know their native language….what about the fatigue of riding a motor bike to a foreign nation?…but we are not mature enough, we are still young.” To them these were among their great cloud of fears which they had to face and conquer. It is true that an evangelist’s resolve will be determined with the quality and quantity of preparation and disciplining for their mission. Isaiah being the son of Marc, a servant and disciple of Christ, had a higher advantage; he was disciple since the day he was born and in his young age he is very well versed in the ways of the Kingdom and the teaching of the LORD. His only dilemma was the challenged posed by his skin color, the color that many African consider to be the true color of the dollar. Perhaps you are not aware that white skin has a greater potential to do permanent damage than good in the evangelism field. Nashon was not also disadvantaged in his training and discipleship. Since the time he finished his High School education in November 2013 and was baptized at the same time by brother Marc, he had been walking very closely with Marc until on November 2015, when he was ordained by the church as an evangelist. Was this ordination a vain and fruitless thing? For the answer let us follow them to one village in the nation of Uganda. On their first trip to Uganda, these young and inexperienced evangelists were led by Marc himself. Their mission was to find their man of peace. It was not long before they met one shoemaker and established a relationship with him. After few days of teachings it was obvious he was not their man of peace; the shoemaker was not ready to count the cost and surrender to the kingdom. Their mission ended there. They returned back to Kenya. After one week Marc sent them again with more instructions and blessings. And on their second mission trip the Holy Spirit was guiding them. Isaiah noticed a man walking alone and silently as he passed them, then he whispered to Nashon, ” That must be our man of peace, let us follow him.” They immediately arose and followed him. After they caught up with him, Nashon didn’t believe what he discovered, his great fear of the language barrier melted away like a wax passing close to the fire, believe it or not he was able to speak the native language of the village, very fluently, just like the natives of the land. For sure the Lord was with them just as He promised His apostles. If it was not a miracle then it was a divine preparation. We glorify Our Lord and King for imparting His divine grace in the life of this two young faithful witnesses of the kingdom gospel. It may take us eternity to fully comprehend the greatness and achievement of these young evangelists, but I do believe God and His angelic assembly, and Satan and his demonic assembly, fully understand the impact to their respective kingdoms. Now we must fully understand that a father will be known through his sons, and a teacher through his disciples. As we speak peace and blessing to Nashon and Isaiah, let us speak great blessing and peace to their teacher, Marc Carrier. 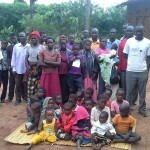 Above all pray for the young and new house church in Uganda. Pray for Nashon as he continues to labor in translating the literature to the local vernacular. Pray for Kingdom Driven Ministry! We need your prayers. They are vital. Greetings from the Horn of Africa. Peace, be still. Here in Kenya, unlike in the West, “youth” are identified as those under 35 years of age, whereas wazee (older men) are 40 and over. (As far as I know, there is no name for those in the nebulous 35-40 year-old age range.) The wazee are often leaders in the community, functioning as local/village elders. They are sought for advice and are patriarchs of their families. I love our wazee and am incredibly thankful to have so many in our network of house churches! They meet together on a weekly basis to fellowship, share teachings on the Scriptures, pray, discuss current community or church happenings, and sing. There is nothing like hearing a room full of wazee praising God! Don’t get me wrong, the wazee are…old…and have their cantankerous moments. 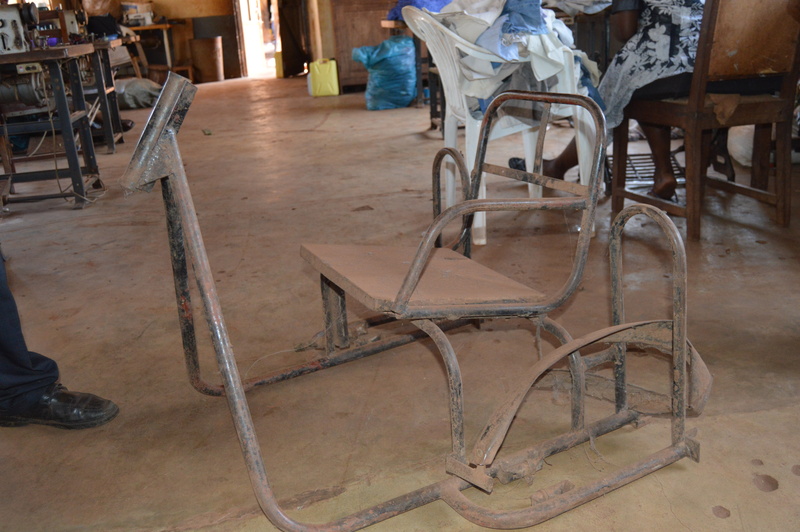 They are often frail in health and in need of medical assistance. But they are also awesome sources of wisdom and encouragement and they take seriously their role in the church. 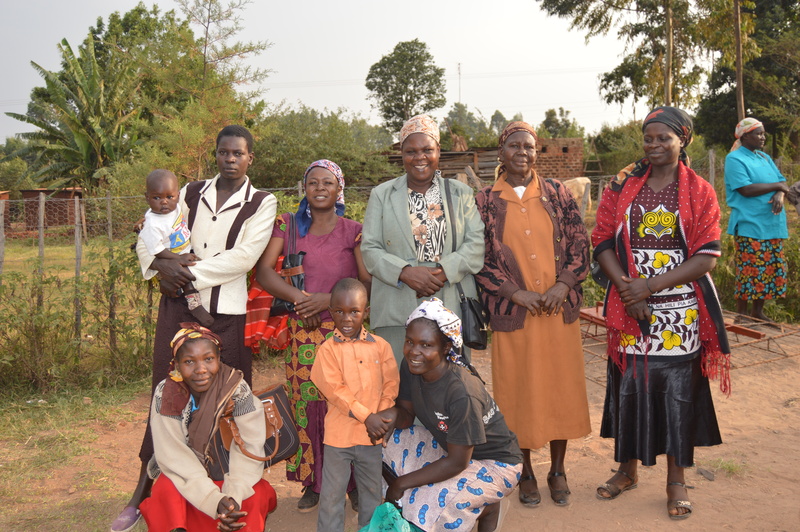 A large number of wazee tends to be an anomaly in Kenyan churches, as in many areas (such as the slums) there is a strikingly disproportionate number of women, particularly widows. As well, here in the village, it is the women who tend to go to church regularly (often for social reasons more so than religious), and the men don’t seem to be as involved. Thus, we are blessed to have them among us. In this part of the world (unlike the West—according to our observations, at least), there is a healthy respect and honor for the wisdom and life experience of the elderly in all areas of life. An African proverb states the reason quite succinctly: An old man sitting down sees farther than a young man standing in a tree. The Bible is not silent about the value of the aged and the necessity of listening to their wisdom: “’You shall rise up before the grayheaded and honor the aged, and you shall revere your God; I am the LORD.” (Leviticus 19:32, as just one example). This wisdom and life experience of the wazee should be leveraged and respected in the Church. The Scriptures identify overseers [or bishops], elders [or presbyters], and deacons, all of whom are expected to be proven in their maturity, with older children and households in proper order. (It is important to note that these terms identify roles rather than titles, as they are commonly used today.) A proven elder is both honorable and worthy of honor, as no accusation against an elder is to be entertained unless it is brought by two or three witnesses (1 Timothy 5:19). Elders not in positions of church leadership are still influential in the life of the church and should be valued for their contribution. In no area is this quite as important as that of church discipline (per Jesus’ instructions in Matthew 18). We have seen first-hand the power of a meeting of wazee as they listen intently, ask thoughtful questions, and come to a wise consensus in matters pertaining to the life and health of the Church body. It is the role of such elders to be a persuasive influence on the congregation. But we request of you, brethren, that you appreciate those who diligently labor among you, and have charge over you in the Lord and give you instruction, and that you esteem them very highly in love because of their work. Unfortunately, the role of elders and the respect due them, particularly in the realm of Church leadership, has largely fallen into disrepute in many of our modern churches. This seems to follow the general trend of young people being in rebellion in many areas of life over recent decades. Youth have dishonored and even usurped the authority and influence of the elders. At the same time, there have been some recognized as elders who have not met Biblical qualifications or who have abused the honor of their Biblically-sanctioned roles. This has often led to the general disdain for Church leadership in general. Even the valued wisdom of the older men of the Church has been disregarded. The advancement of youth and the degradation of the aged have worked together to bring a host of negative consequences to the called-out people of God as they assemble and serve in local congregations, often without the valuable leadership and influence of wazee. Of course, our observations and opinions cannot swing the pendulum back into a healthy balance, but we hope to offer some constructive criticism for growing churches; as they seek to honor God and His Word, may they also value the wisdom and experience of their wazee. We are thankful everyday that the Lord lets us continue working in the mission field of Kenya. Praise and glory to the King of Kings! This past month certainly started with a BANG! We experienced our second emergency snake bite case. A sixteen month-old was rushed to our compound one evening because she was bitten by a snake. She had a fang mark on her leg that was starting to swell, and she was drifting in and out of consciousness. 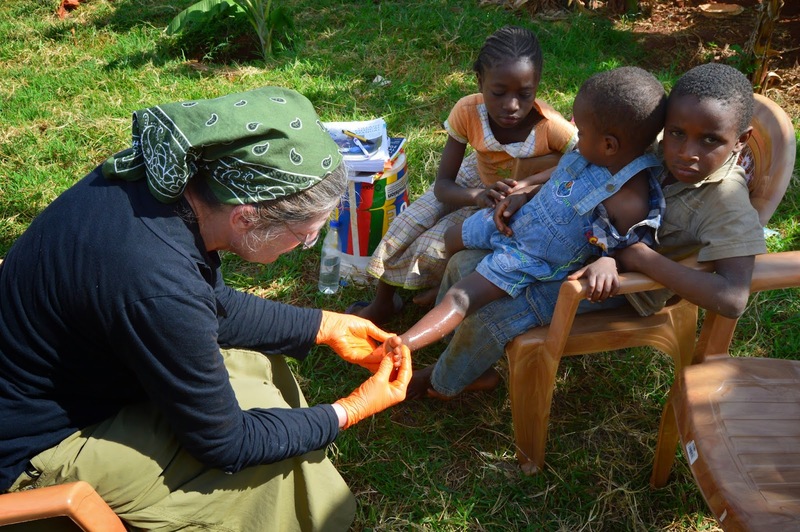 After assessing the patient, Tim, Charlton, and Wanda jumped in the van and rushed the child and her family to a hospital in Eldoret, about two hours away. We are happy to report that she is doing well, and returned home several days later. Not long after the little girl was brought to us, a two month-old little boy was brought to us as well. His name was Primus, and he was malnourished. We (the Sweazys) had the beautiful opportunity to take him in and nurse him back to health. Through the generous donations of the body of Christ we were able buy him ample formula, take him to the doctor, and buy him clothes, blankets, and other needed supplies. 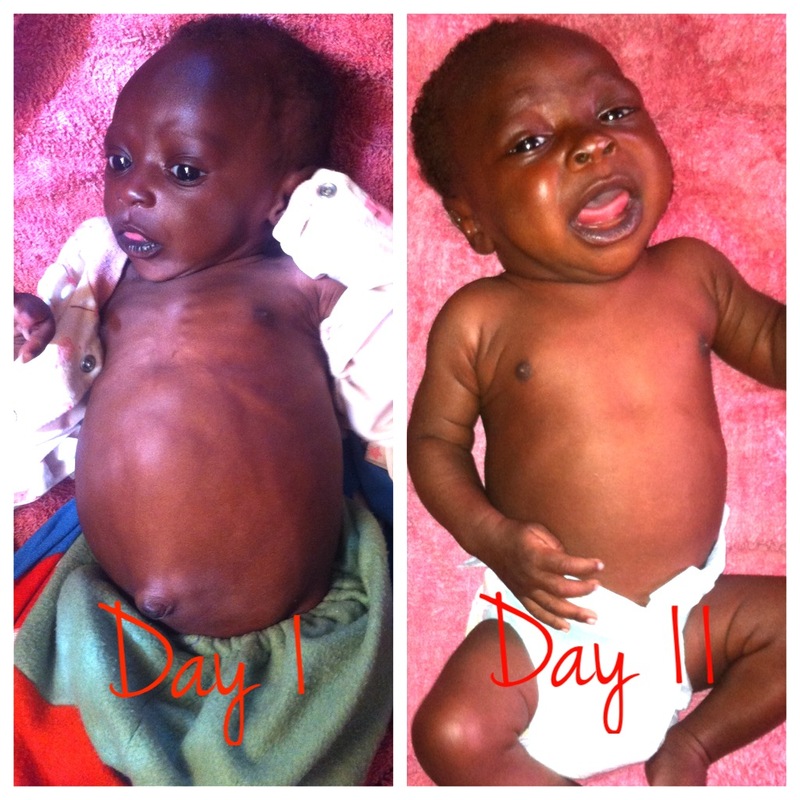 He is now back home with his grandmother who has been his primary caregiver since birth. She has been trained on how to feed him, but will need further training. Please keep grandma, and baby in your prayers. During this two week period of caring for Primus, we had an intense four day Swahili language class scheduled as well. Our brother Glenn came up for the week, as well as our language teacher Jim. Jim has been living in Kenya for 22 years, and is fluent in several local languages. 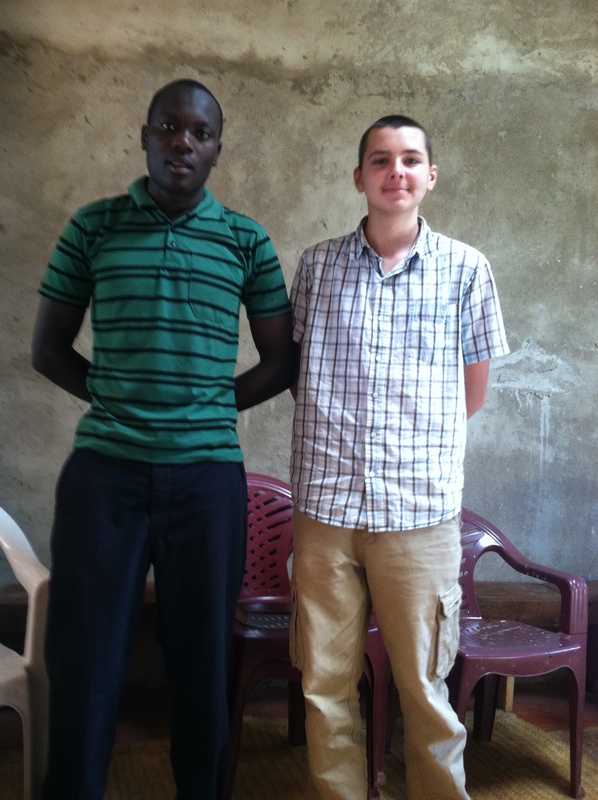 Charlton actually met Jim in Kisumu through mutual brothers and sisters in Christ. He arranged for Jim to make a trip to see us, and the timing could not have been more perfect. The Nafziger family had just arrived, and were able to get a jump start on the language! 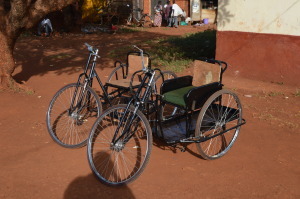 Charlton also made a trip to Uganda with Nashon to assist a brother named Joseph, who is doing work with a group of physically handicapped people. They made several repairs to the building in which everyone lives and works. 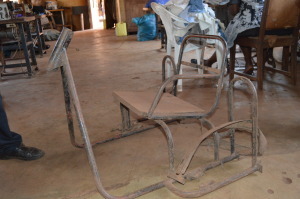 They also replaced and repaired equipment that they use to make a living. Later on in the month Joseph came to stay with us for a weekend to further his discipleship. He also had to opportunity to see how we do home fellowship and communion. 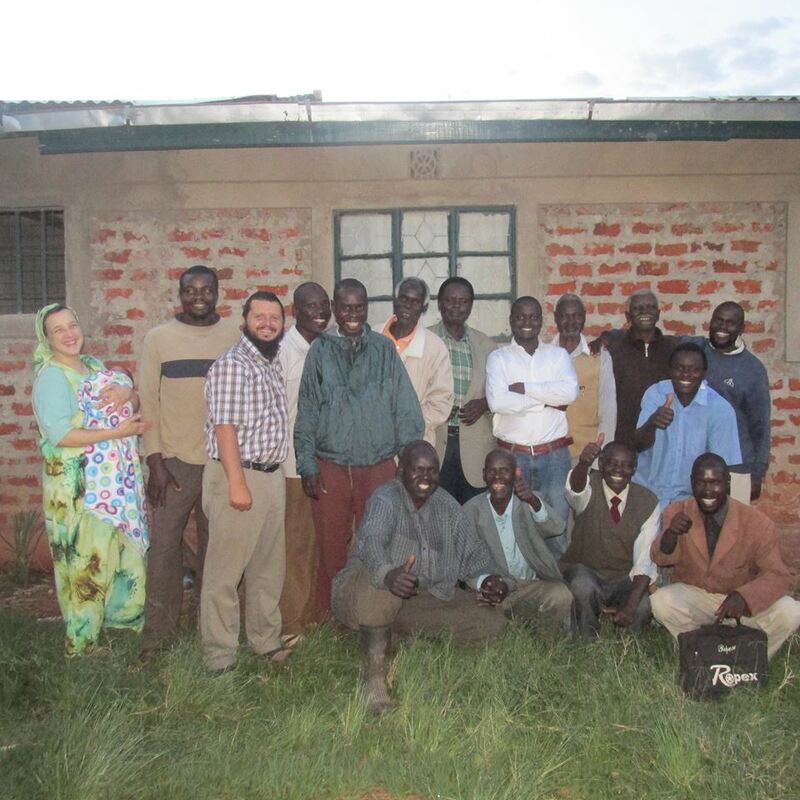 Literally, the day that Joseph left to return to Uganda, Tim and Charlton drove down to Kisumu to visit one of our home fellowships. They both did some teachings and spent some good time with the people. Unfortunately, this month has had some challenging times as well. Our neighbor’s relative died at a very young age, which brought much sadness to the village. Marc, Cindy, and Tim were able to attend the funeral, and it opened up a door for Marc to teach about the Kingdom. Marc has also been dealing with some church discipline issues in Saboti and Naitiri. 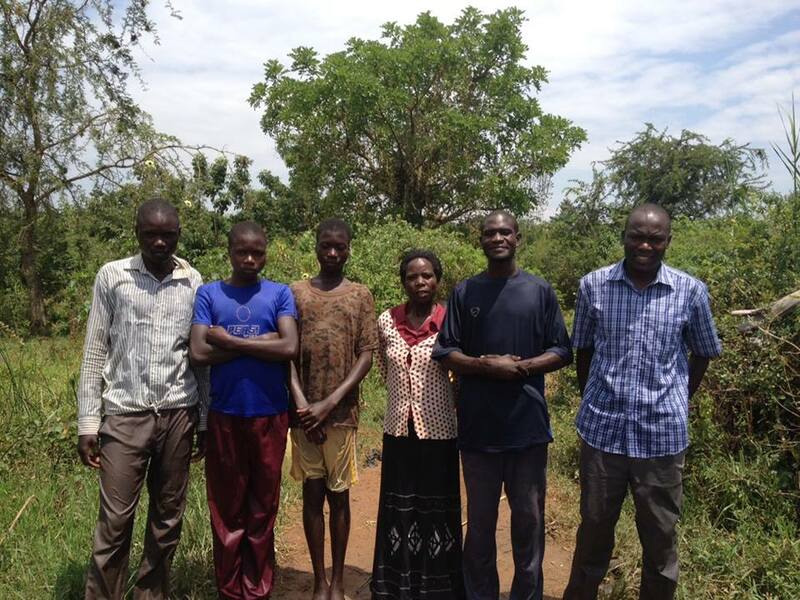 We are happy to report that the Naitiri church has completely confessed and repented. We have also had major breakthroughs in the Saboti church. God is doing amazing things! Thank you for the continued prayers and support. We are excited to see what God is going to do next. This week, we’ve had the honor to be a part of a pretty amazing story. 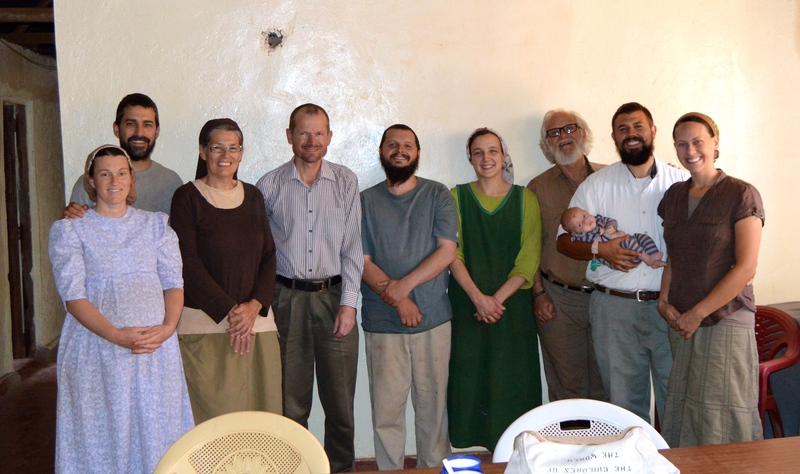 Marc had the opportunity to teach an Imam (an Islamic leader) and his family about the kingdom of God. During this teaching he prayed for the Imam’s daughter, who was seriously sick with a long term illness. Unknown to Marc, she was miraculously healed in the name of Jesus! Amen! Now fast forward a year. Through an astounding set of circumstances the Imam was able to reconnect with Marc, through Charlton. They set up a meeting at a local disciples home. At this meeting, the Imam was recounting the events of his daughters healing. He admitted that he felt God’s presents that day, and he even later borrowed a bible to look into what Marc had taught them at the mosque. It was all true. The only problem was, he did not know how to get back in touch with Marc. 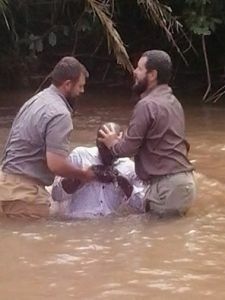 Praise the Lord, because after this meeting the Imam surrendered, repented, and then Marc and Charlton took him down to the river to be baptized. Marc actually came up with the idea for this event, and organized the entire thing. One of his objectives for wanting to get all of the women together, was just that. It was so encouraging and uplifting knowing that other women from around the country are on this kingdom journey with us. Being able to share together, sing together, eat together, laugh together, and simply look into each others eyes brought a beautiful unity between all of us. The only negative that I think we all experienced, was not being able to communicate as freely as we all would have liked due to the language barrier that we still experience. However, we have a very intelligent local sister in Christ that speaks excellent English, named Linda. She translated the entire conference. We definitely needed her help because Wanda, Cindy, and I (Natasha) did all the teachings for the day. The reason that the three of us did the teachings for the conference was simply because we all live in the same compound. We were able to collaborate and organize what we were going to share in a short amount of time. And Cindy made a great point to encourage all the ladies to continue sharing, and teaching one another. So, after a worship song, prayer, and short introductions I was the first one to share. My main focus was seeking the favor of God. I really tried to encourage the youth, that they are not to young to serve God in big ways. (1 Timothy 4:12) I find Mary’s life to be a perfect example of that. Out of all the woman in the world, God chose this young Jewish women to be mother of His only son. She was the “favored one.” (Luke Chapter 1) So I used scripture to shed some light on her character as well giving a detailed breakdown on the fruit of the spirit. (Galatians 5:22-25) Those characteristics are suppose to define us as followers of Christ. Next, Cindy gave a detailed teaching on biblical womanhood. Sharing scriptures on how to become the wife and mother that God calls us to be. She started in Genesis and worked her way through the New Testament, really focusing on God’s order of headship and submission. One point that I really appreciated that she made was pointing out that older women are instructed by scripture to teach younger women the practical aspects of running a household; on how to love our husbands and raise godly children. These teachings are not something that women in this area are used to hearing. So it gave many mama’s plenty of things to think about, and a great opportunity for self evaluation. Wanda closed the conference by weaving portions of her testimony in conjunctions with 1 Corinithians 6:18-7:40. She wanted to share the areas in which she fell short of the proper roles in marriage. Her transparency, and honesty was really refreshing, and I think many women could relate with what she had to say. She ended with sharing the joy she has experienced by being able to serve the kingdom of God as a single person. Now she is able to be totally devoted to our King without any distractions. The three of us are at three different places in life. We have three different experience levels, and three different backgrounds. But God intertwined us together beautifully to share the message that He wanted His daughters to hear. 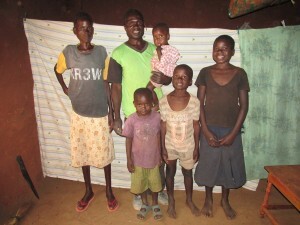 This is David, along with his wife, Violet, and four of their six children. David is a pretty big guy. Our two oldest boys were testing his strength this morning, and they found it amusing that he could pick up 13 year-old Jonah with one arm and hold him in a seated position on his bicep. I’m not sure how long David has been a part of our fellowship…maybe six months? He and Isaiah somehow became fast friends when Isaiah was overseeing a bunch of guys (including David) as they dug a local fish pond. In fact, the effort to communicate with David (who speaks very little English) was what made Isaiah functionally fluent in Swahili. David had been living somewhat far away when he responded to the message of the Kingdom and was baptized. That, combined with the fact that he struggles with reading (as far as we know), made for a slow process of discipleship. At one point, the church elders had to address a significant issue with him, but he showed sincere repentance and one of the next steps was a willing move to a location closer to the fellowship so that he could grow stronger spiritually. He lived right across the path from us for a while, was forced to move, and then found another place across the main road. There are several brothers who live near each other there, so it’s a great way for them all to mutually encourage one another. The accountability has also been good for David. One thing we’ve all noticed about David is that he’s a really good Dad. His children obviously love and respect him and he’s cared for them well as his wife has recently struggled with illness. However, Isaiah (who spends a lot of time at David’s house) did report that David has a bit of a temper when the children misbehave. Sunday at our communion meal, a large group of about 20 adults ate together and then were encouraged by our brother Sam to examine ourselves in preparation for sharing in the body and blood of Christ. This is always a quiet and introspective time and although public confessions are encouraged, they are somewhat rare. Such a thing is just not a part of African culture. This week, however, was an exception. Many stood to confess and share their struggles and ask for prayer. David was one of them–the first time he’s publicly shared during our fellowship meal. The night before, he had been sleeping at his home farm some distance away. 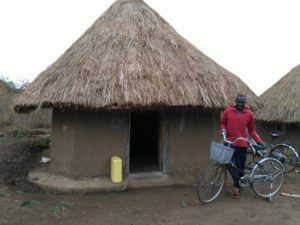 He still has a house there, which has a sleeping mat and a few other things in it because he stays there when it’s time to plant or harvest beans or maize. Although a vacant house is usually an invitation for robbery or vandalism, David’s brothers live close by so there have thus far been no problems. However, on this particular Saturday night as David was sleeping, he reported that he was awakened by some unusual noises outside the house. He went out with his spotlight and found nothing, so returned to bed. Some time later, he was abruptly awakened by some more noises. Though nothing obvious, he knew it meant trouble. He said that he got out of bed and stood by the window. (His house is a mud-and-stick construction with one window and one door, which is typical in our area.) Soon, water began to seep in around the window and he guessed that there were three men outside trying to break through the wall and enter the house. He simply waited quietly in the dark with a fimbo (a straight club with a large round ball on one end, which can easily finish someone) and a flashlight in his hands. However, David said, he had “another voice” telling him not to follow his natural reaction. Instead, he quickly positioned himself in front of the broken-through wall and shined his spotlight in the face of the intruder. In his own words, he “shined his light, and the man fell down!” He told the man, “You will not get out of here!” and tied his hands together. He then called his brothers, and the men all stood watch until morning, when it was determined that the man was a neighbor and should be freed without repercussions. His friends had already fled. I wondered, if David had not sinned against the man, why was he standing to confess? And then he admitted that he felt that his feelings of anger were sin and he was asking for forgiveness and prayer. After the Communion meal, we talked as a family. Marc wondered aloud if, when David said, “he shined his light and the man fell down!,” that was an African way of confessing that he had turned on his flashlight and then beamed the guy in the head with the club. (This is not a big stretch if you understand the differences between our Western-style of communication and their Eastern style.) So he sent Isaiah to David’s house to “confirm.” As it turned out, David did, indeed, refrain from doing harm to the man, choosing instead to “love his enemies” and “not resist an evildoer,” as Jesus had commanded. The intruder, expecting to break through the wall into an empty house, was probably just greatly surprised to find that he was not alone. Given David’s size, I can understand his reaction. With the struggles we sometimes face in the lengthy and difficult process of discipleship, David’s testimony of this weekend stands as a great encouragement not only to us, but to our entire fellowship. It demonstrates the work of the Holy Spirit to reveal the truth of Jesus’ teachings and God’s upside-down Kingdom, and the power of the Holy Spirit to help us walk in that truth, even when our flesh would prompt us to do otherwise. Join me in praising God and in praying for David and others in our fellowship here who are striving to enter the narrow gate and follow the path that leads to eternal life. 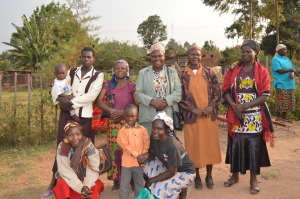 We (the Carriers) met Silas pretty much on day one when we moved to the village here in Kenya. He owns a shop just across the street from our house, where he lives and works with his wife, daughter, and newborn baby son. Though we didn’t know it from the moment we met, Silas was eventually identified as that “man of peace” that would be instrumental in expanding the Kingdom of God in our community. 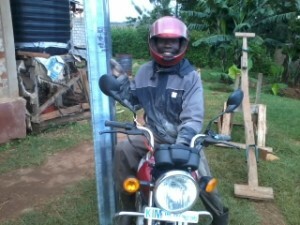 Recently, we helped Silas to purchase a piki piki (motorbike), in hopes that a fledgling business as a boda boda (driver) would help provide more comfortably for their family so that Silas would be more free to invest his time “on the mission.” Most recently, he coordinated many of the brothers (under the direction of Charlton Sweazy) to construct a home for a widow in our fellowship. 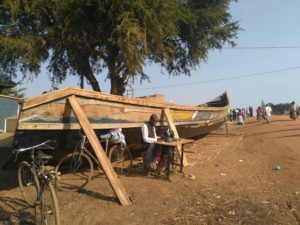 He also regularly shares the Gospel of the Kingdom with visitors to his little shop, runs patients to the local clinic under Wanda’s direction, and visits satellite fellowships that are still in need of teaching and discipleship. If there’s anything to be done, not only do we trust Silas to do it, but he is always willing. If Silas has a fault, it’s his memory. Rumor has it he suffered a head injury as a youth and was never the same (though we’ve never confirmed that to be true). In any case, he often confuses the English words “remember” and “forget” and he’s always “remembering” something–which is really “forgetting.” So when you call him to pick you up on his piki piki, he sometimes gets distracted and then “forgets to remember,” or “remembers to forget.” In other words, multiple phone calls by way of reminder are often necessary. And sometimes he shows up at the door and, after greeting and small talk, when asked if he needs something, he may stand there with a dazed look for several minutes before, with a shake of his head, he says, “Oh, yes!” and then proceeds with the reason for his visit. I (Cindy) had the privilege of riding on the piki recently behind Silas as I headed to a women’s meeting. I was reminded just why someone like Silas is such a gem. For starters, let me compare him with many other drivers at the boda boda “stage” in town (the place where you can hire a driver from a sea of motorbikes). Many of them are drunkards (not necessarily abstaining in order to pursue a living as a driver). Some are just plain rude and crude. Then there are those who lack not only a desire for safety but common sense as well. Couple that with dirt roads where potholes are the rule rather than the exception, impromptu speed bumps pop up unexpectedly, and pikis share the road with animals, pedestrians, bicycles, the occasional car, and other unsafe pikis often driving at high speeds, and a ride into town (or even a couple kilometers to a women’s meeting) can be downright scary. 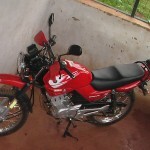 I meditated on this as I rode peacefully on the back of Silas’s motorbike. Needless to say, Silas is as straight-laced as they come. He drives at a moderate speed and even slows down for speed bumps so I don’t fly up off the seat. I smiled when we came upon a little girl, maybe a year old, sitting in a little pothole in the dirt path we were driving on. I wondered what Silas was doing as he stopped and beeped his horn, since the house we were at wasn’t our final destination. Turns out he just wanted to get the attention of the girl’s mother, who was busy doing her wash in the courtyard. They had a short conversation, and then Silas said to me, “Yeah, many drivers they go too fast and they might not see her.” True enough! I called him to come pick me up as I thought our meeting was wrapping up, since for him it was about a 15-minute ride and I didn’t really want to wait around. However, as it turns out, our closing prayer time went on longer than I thought it would and, out of the corner of my eye, I noticed Silas pull up on the path outside before we finished. He ended up sitting there for about 10 minutes and I wondered what was going on when I saw him turn around and disappear down the path the same way he had come. To my amusement, when I exited the house I found him giving one of the neighborhood little tykes (about 2 years old, maybe) a spin on his piki, safely situated on the gas tank in front of him. Needless to say, the boy was smiling from ear to ear. More facebook posts May 25 thru July 21. Met w Silas and Gilbert today. Have a plan for continued discipleship. English a problem for Silas and Gilbert a good translator. Plan is to meet together as a group and also with Henry going forward. Should allow setting a good foundation here in Kiminini. Cindy taught about 20 women at a women’s mtg today. She shared a brief testimony and then went through the entire Gosp of Kingdom and left them with tracts. great day of ministry. met w local doctor for hours over dinner. shared gosp of kingdom. excellent reception. jane asked for copies of tract to share w others. very encouraging. message is proliferating here in kiminini. her brother samuel read kes and asked for a swahili bible which i provided. 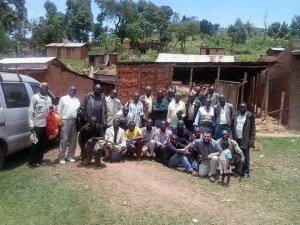 Went to Kachibora to share the Gosp of Kingdom w Davids family. Well received. Isaiah went out with Silas and Silas provided tracts to three of his disciples to go out preaching. Very happy with Silas. He gets it. follow up on yesterdays mtg. davids family held a long family mtg to go opver what i shared. they all agreed it is the truth and asked we return for two or three days to guide them on next steps–which are repentence and baptism. their neighbors also attended their mtg and also want in. the neighbors are now sharing the message w their family. i see a house church is conceived and will soon be born here. glory to God. In Nairobi now. Work permit approval notification letter in my hand. Going to immigration tomorrow morning to finally secure this permit. The work permit is signed, sealed, and in my possession. praise God. In eldoret. almost home. looking forward. enoch turns one tomorrow. boys are in their element. just purchased them an old suzuki ds80. 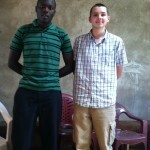 met w tonny in kitale today. organized for home fellowship starting in our home tomorrow. really it is a fellowship w the objective of birthing new fellowships by discipling the attendees. getting ready for fellowship. invited just a few folks. curious how many will come. will update later. very much look forward to it. miss our old church family in indiana a lot. hard starting over. met w three men this morn. all three surrendered (lk 14, blank piece of paper). next week spiritual inventory. Cindy and i now in kitale waiting for lunch. children rule the roost today. 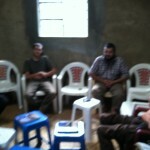 Met with John O. Peter, Dawson Mudenyo, and another brother this morning for teaching and fellowship. Great time. Love these guys. Tonny and David Wanjala coming from Maridadi and Nairobi in prep for the Mumius mission thurs thru Saturday. Pls pray the the mission. two more disciples baptized in nairobi yesterday. message of kingdom shared w leader from tanzania. david sent him w tracts and KES. He requested I visit. As typical, he testified he had never heard this message before. cindy ministered to two women today. one, rose, is on fire. i spent hours w tonny. good stuff. Mumius mission with team: David, Henry, Tonny w me. first day of teaching done. overwhelming reception. taught gospel of kingdom and discipleship. went thru cost msg and inventory. tomorrow home fellowship, lk 10 evangelism, and muslim evangelism for a couple hrs. then lk 10 2x2s in field. awesome mission. many saved. 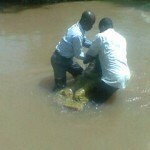 will baptize several sunday. visited 34 households. at least 8 muslims. only two muslims rejected the message. one mute child who had gone insane openned the bible and read “Jesus had entered the village and was healing all kinds of diseases.” mom was amazed and received Christ. no rain during entire mission. first time no rain in months at peak of rainy season. went to hospital and prayed for healing for many sick children. incredible reception to message. people ae amazed, trained, and mobilized. i love my job. entire team doing great, henry, david, and tonny. lead teams in villages. mumius mission done. heading home. six baptized today after surrendering, repenting, and completing spiritual inventory. one slain by the spirit when list burnt. certainly got everyones attention. Great fellowsip tonight. Folks asking good questions. Disciples doing great. 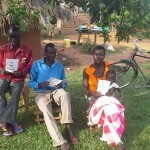 Six received Gospel of Kingdom message today here in Kiminini area. “From the little I have learned from others and through experience, I wonder if the current Church-Planting Movements have not taught international Christianity the viability of non-clergy movements, that everything Christ commanded can be accomplished without money, clergy, chapels and power structures. Put positively, the biblical patterns remain both viable and perhaps more effective, over time, than privileged, ecclesial power structures.” Mission Frontiers, May-June 2012, p 24. Today is going to be my first “tourist” day in Kenya. I am taking Jonah to Mt. Elgon National Park for his birthday. Yesterday, I was coordinating meetings for Kimilili, Nairobi, and Kakamega. Got my driver’s license. Met with a couple of my disciples (Silas, Henry, and Tonny). 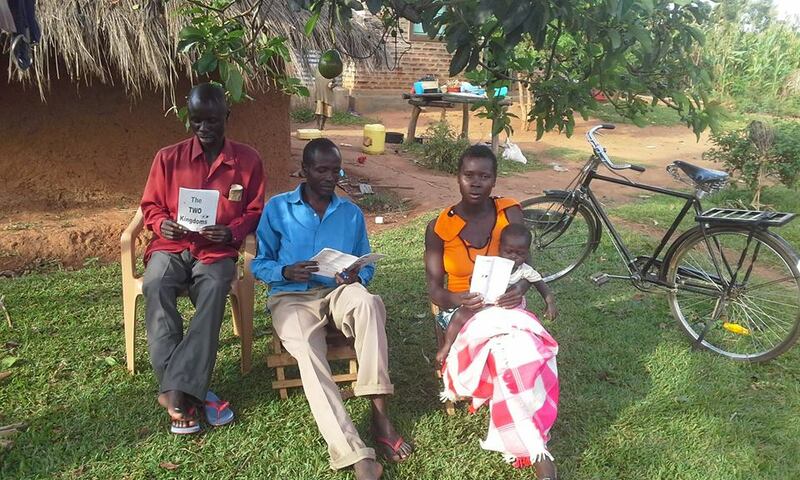 Silas presented the Gospel to six folks on Sunday and they all received. 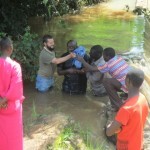 He wants me to help him bring them to repentance and baptize them. Cindy met with Rose. She is on fire. She has presented the Gospel of the Kingdom to five people in the last week. Cindy is meeting with them today for next steps. Tonny has a couple new disciples. David is being challenged. He has been evicted due to renovations for his house. His permit for his new business (a KDM gift) has issues again. He is down, homeless, broke, and no business prospects. Please pray for him and his family. I gave out two copies of KES and several tracts. Lots of positive movement, bit also pushback from the enemy on the David front. jonah and i had a great time at mt elgon. saw many monkeys, buffalo, gazelles, water bucks, zebras and baboons. cindy met w 7 women, all women her new disciple Rose, our neighbor, presented the Kingdom gospel. 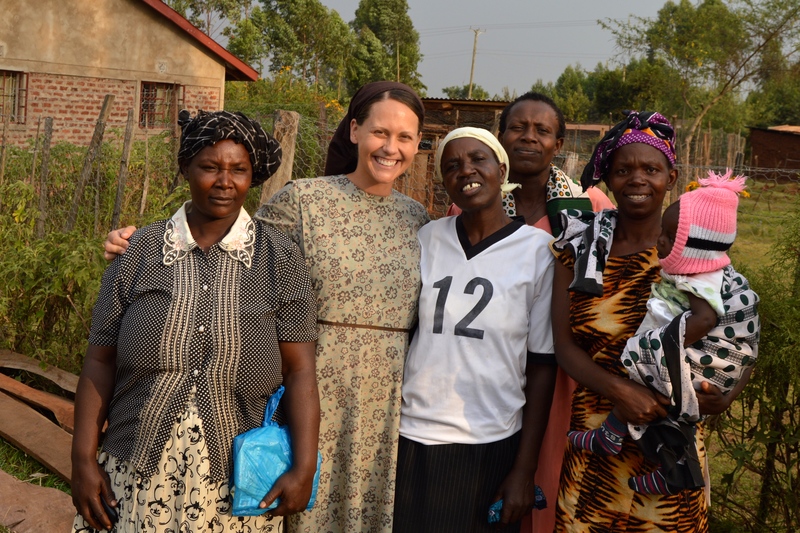 These women now evangelizing the entire community. they love the kingdom gospel and want all to believe it. I am working a neighbor. he wants breakthru for alcoholism. working w him. Microloan for grain resale given today. solar battery recharge, bicycle taxi, and an inventory loan for a shop near closure. all loans that will allow kingdom Christians freedom to minister while providing for their families. very rewarding work. shared gosp of kingdom w group of 22 widows. all received. tomorrow teaching discipleship and house church. 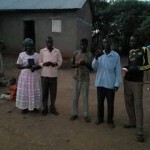 follow up in mumius, two new house churches and three more disciples. all 22 widows trained, surrendered. henry doing spiritual inventories as i write this. back in kiminini, rose, cindys disciple, taking the kingdom to the people like a wild fire. she does community health ministry as a volunteer. all heart. love her. Just finished up fellowship. There were about a dozen standing or sitting on the floor with about 25 seated. It is more of a seminar than a home fellowship. Today taught on freedom from sin and the spiritual inventory. Lots of new faces. These are not churchy folks. Nighborhood drunk here asking great questions. Glory to God! Erastus from Mumius called David today and told him he has baptized six more disciples and gone thru spiritual inventory. 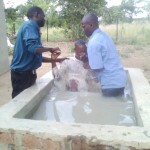 Festus, the man whose wife had demons cast out, has baptized two new disciples. I an in Nairobi now prepped for a training meeting tomorrow. Picked up 100 more KES, 300 kingdom gospel tracts/booklets, and a couple dozen Bibles, in preparation for the next mission. God is great! After Nairobi mission: Waiting to board my bus back to Kitale. Should be home by 7 am. Another nights sleep in a bouncy bus. Mtg went excellent. Bout 60 in attendance, 50 pastors. Entire message received. Incredible response. These guys are fired up. They will immediately start preaching the kingdom and making disciples and establishing home fellowships. Teaching on freedom from sin and inventory powerfully received. Testimony: “teachings are practicable and biblical.” followed by applause of agreement. Praise God. i am certainly adjusting to africa. i’M now putting on a winter jacket when temp drops to 60 F. praising God for my awesome jacket given me by my former employer Acuity Environmental Solutions right before I moved here. It costs more than i could ever justify spending on a jacket, but sure is perfect for out here doing what i do. Home safely. rested well on bus. was still tired from night trip to nairobi and full day of training, so i slept great. great to be home w family. lots of accounting and administrative stuff to catch up w now. Last wk stated neighborhood drunk at fellowship. Found out yesterday that he has been dry since the mtg. He is really a great guy–smart, talented, and personable when sober. Pray for him. Silas is doing great. The boys gave him a microloan and his business is thriving. Pray David succeeds in finding a new place for home and business. Two other personal loans given out since returned from Nairobi. Widows asked fro return visit. 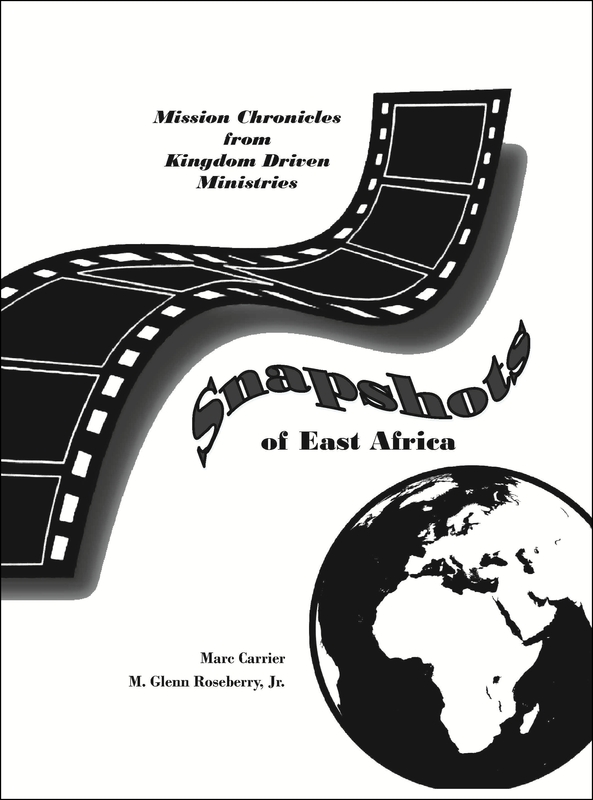 Ten Nairobi pastors asked for Shepherds Storybook which is a pastoral training guide for new house churches. I am supposed to get my motorbike today. 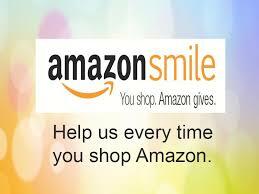 If you intended on helping fund, please do so soon, as it is underfunded. We raised $700 and have $1400 to go to meet the need. I have three missions in the next couple weeks that will utilize it. Really excited about wheels! Water well near completion and parcel from the US that we shipped in February supposed to come soon. Things finally coming together. Excited. Schedule is filling up–objective is a mission per week. Tough on family me traveling so much, but I try to focus on family best I can when I am home. Here is my new Yamaha YBR125G. Rode the children around and went shopping in town on it today. Isaiah and I rode together, he on his Suzuki DS80 and me on my bike, down the rural roads. — in Kitale. Rose and Rose, Cindy’s disciples, shared the Gospel of the Kingdom with over 25 people today, with excellent reception. Amazing. She is doing multilevel marketing approach. Tells people if they were impacted by the message, organize their friends and family and she will share with them. Unstoppable! We are still working through setting a stronger foundation of discipleship with her and she (they) are receptive. Awesome fellowship. Widdled down to the elite from a crowd. 15 today. Awesome stuff. Wk 1 was Gosp of Kingdom, wk 2 surrender, wk 3 freedom from sin, this wk bearing fruit, lots of kingdom parables, and the mission of making disciples. Great response. Lots of personal discipleship. Village drunk still sober. He told Isaiah that I disciplined him about drinking so he totally quit. God is awesome. Met w 3 disciples today. Two did spiritual inventory. Cindy met with 6 women. Aniga still dry and doing good. New disciple George following church this Sunday. Lots of great progress. Festus baptized five today. New Yamaha a real blessing. Well set in borehole today. Can’t wait for pipes running water! Cindy has two training meetings tomorrow–follow ups w folks Rose shared with. 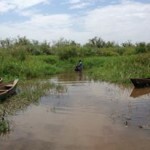 I have a meeting Wed and a 3-day mission with the entire team in Kimilili Thurs thru Sat. Crazy week. Pls pray it all comes together. Cindy taught gospel of kingdom to two groups today, one about 40 and one 10. !any follow ups planned, including full missions w the entire team. Anita, a solid disciple who works w youth, envisions Isaiah discipling her youth groups. People very receptive to message and hungering for more. We need prayers on how to quench this thirst. We need more laborers, Bibles, booklets, manuals, and time. Met with two prospective disciples today. Presented gospel of the kingdom and NT practice to one w very good response. Foresee mission and fruitful relationship. Other even more promising yet. Planning seminar right here in Kiminini. Team now assembling for Kimilili mission which begins tomorrow. 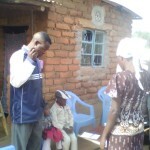 “Thanks very much brother Marc,I received the Bibles Yesterday and the two house churches are on fire for Christ.My wife preached today to 3 ladies and insisted much especially on what happened to her when David was preaching to us and all of them surrendered.Have to baptize them before leaving for Nairobi.I have to meet David for more instructions.He promised me shepherds story books. Grt mtg in Kimilili. Taught Gosp of Kingdom, discipleship, and spiritual inventory. Very well received. 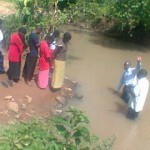 Nairobi house church disciples baptized three more today. Glory to God. New report from Nairobi. 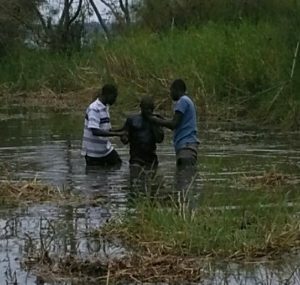 Woman David baptized during shotterm trip led to another family being saved. 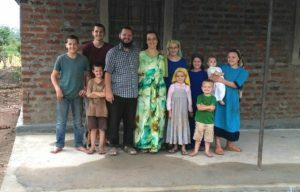 That family moved to another location and just led three muslim mosque leaders who surrendered to the kingdom and asked David to return soon and baptize them. They are now sharing the kingdom with their coleaders at all three mosques they lead. huge stuff. First day of lk10 field ops. Four teams. 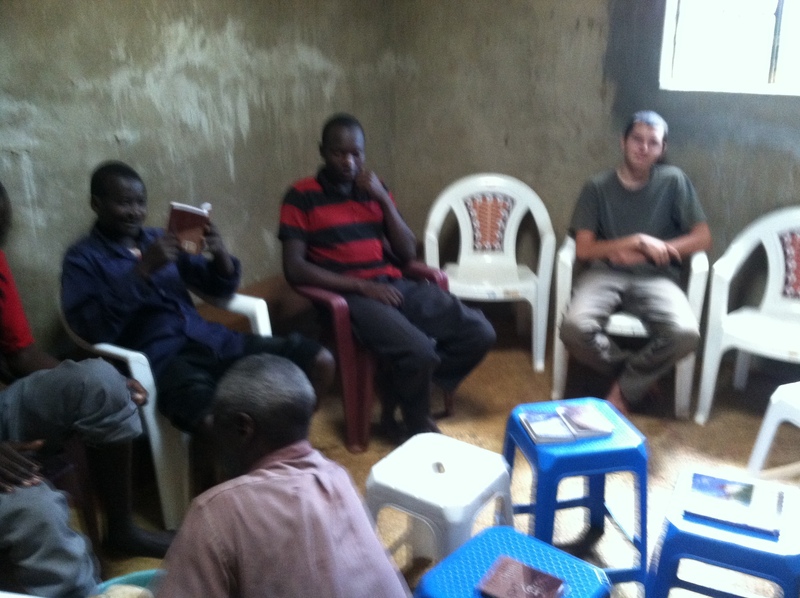 About 20 received gospel of kingdom, four muslims–two i shared w personally. These guys are trained and mobilized. Amazing fruit. Gave them pep talk hard work ahead. Spiritual inventories and baptisms planned. One house church officially starting next Wed. Amazing stuff. God is amazing. Guys. I am just a bit overwhelmed and humbled by the amazing fruit of our mission model. The reports just keep pouring in, and they just keep getting bigger and better. And this is just the beginning. I am training the mission team to lead teams of their own. David will be ready in weeks to lead his own team. So pray with us that we are able to handle the demands of preparing/printing/shipping literature, organizing transport of the team, scheduling meetings, and obtaining sufficient funding. 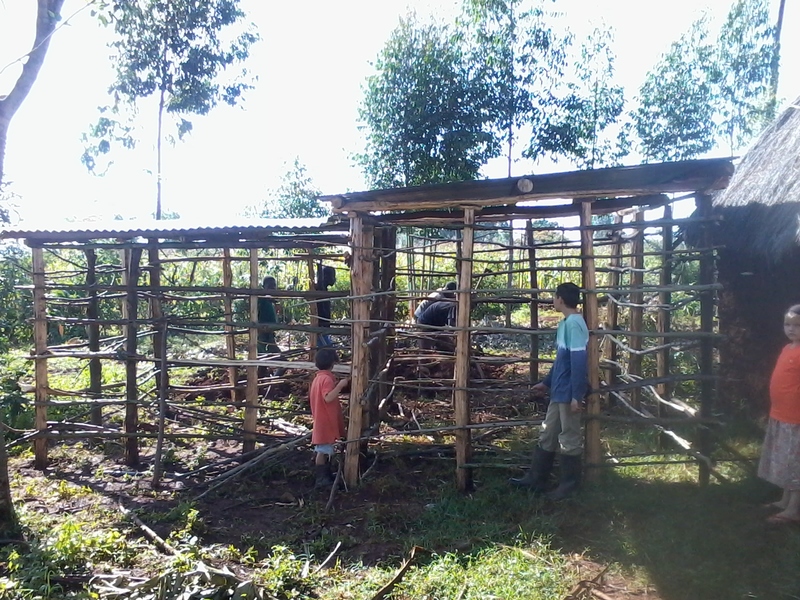 This and the orphan care and microloan/business training program. Also, the bible shortage is crazy. SIX OF THE PASTORS AT THIS MEETING HAD NO BIBLE. Terrible sick all night w fever and severe aches and pains. Will visit lab today to see if I have malaria again. Appreciate prayers. Hoping just something else as I have a lot planned over the next couple days. Keep Cindy and family in prayer. Cindy teaching a large group of ladies today at a local church. Couple children sick and both parents on mission. I should return when her mtg is wrapping up. David completed spiritual inventories w three Muslim leaders today and baptized them publicly in the presence of their Muslim friends. 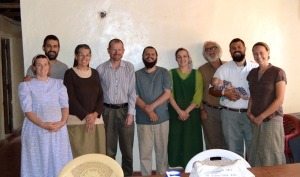 David was invited to present the Gospel of the Kingdom to a group of Muslims who were present This Thursday. Pray for the Lord to work wonders. This is some incredible stuff! July 21, 2012Follow up on the three Imams. Full confirmation. These are bonafide imams of three mosques who publicly repented and were baptized. Many muslims in attendance asked David to share this message w them thurs. David is meeting w the new disciples today. I honestly have to belive this is an unprecedented historic event. Three in one day! Pray for all the members of these three mosques. This has caused quite a stir of confusion for these precious people. The mosques are in disarray. 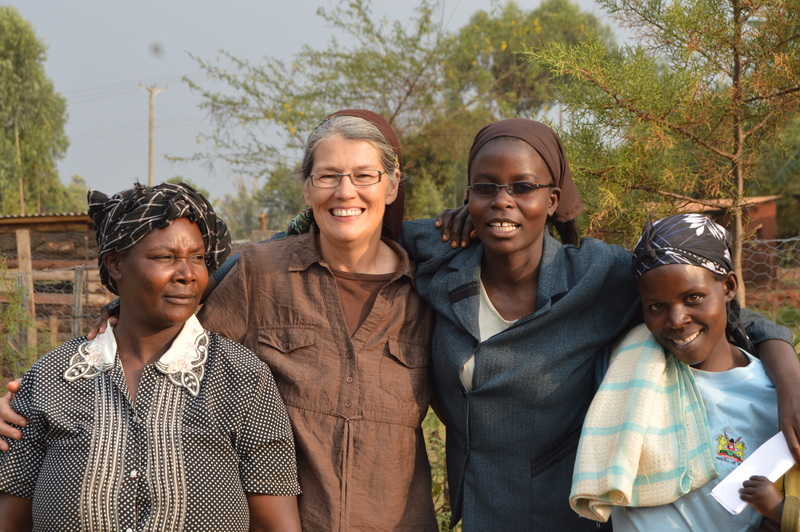 Pray for God’s wisdom, love, truth, and protection as He continues to reveal HImself to the people of Kenya. STILL SICK. Consulting another doctor this afternoon. This week’s mission already delayed a day. The show must go on tomorrow. Pray for speedy recovery. Very weak and drained. Fever gone. Still gastrointestinal issues and sore lymph nodes in abdomen. Diagnosis seems right, but recovery slow. Prepping for Mroki mission today. Appreciate prayers. Sooo busy. Feeling somewhat better. Or too busy to think bout how I feel. Did Mroki mission. Small crowd–bout 25. Came home and did another quick sharing at a group of 30 of gosp of kingdom. Doing inventory with Aniga tonite. Cindy taught kingdom at a church today, bout 15 folks. Silas on Mroki mission. 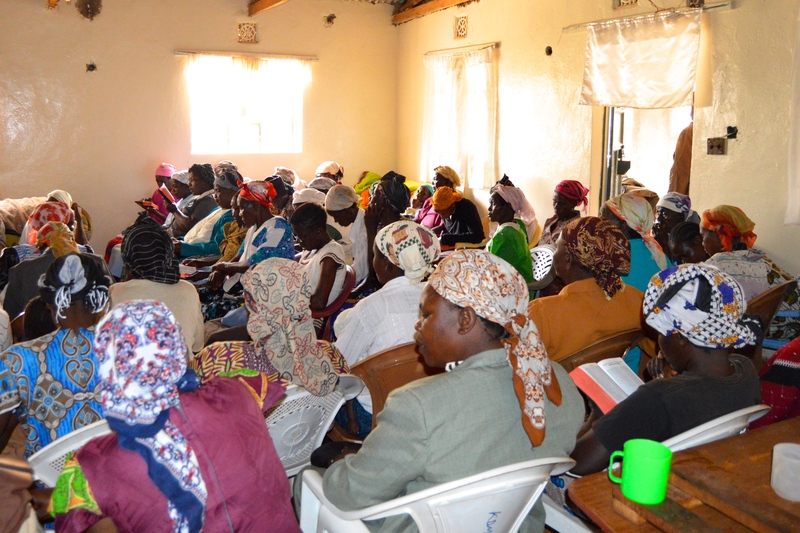 Preached kingdom to 30 women w Aniga. Cindy went out and taught w Rose and Rose. All our disciples getting trained. Festus got a microloan and started his business today. Another close to securing a loan. 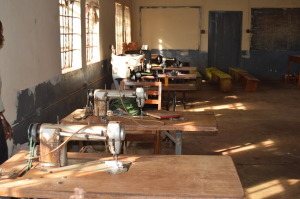 Pray for Aniga, he has repented and abandoned an illegal profession and now desperate for alternative income. Another microloan this week launched three bicycle taxis today. That is one loan, three incomes. Another disciple struggling to find alternative income–a loan he has(from a bank) had a payment due today. Pray for him. 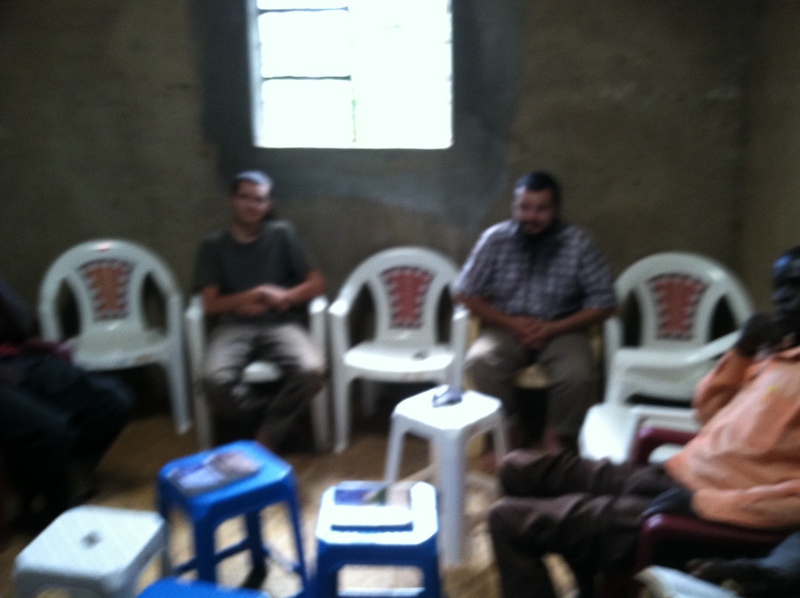 One of my disciples meeting with five muslims interested in learning about the kingdom this morning. pray for him. 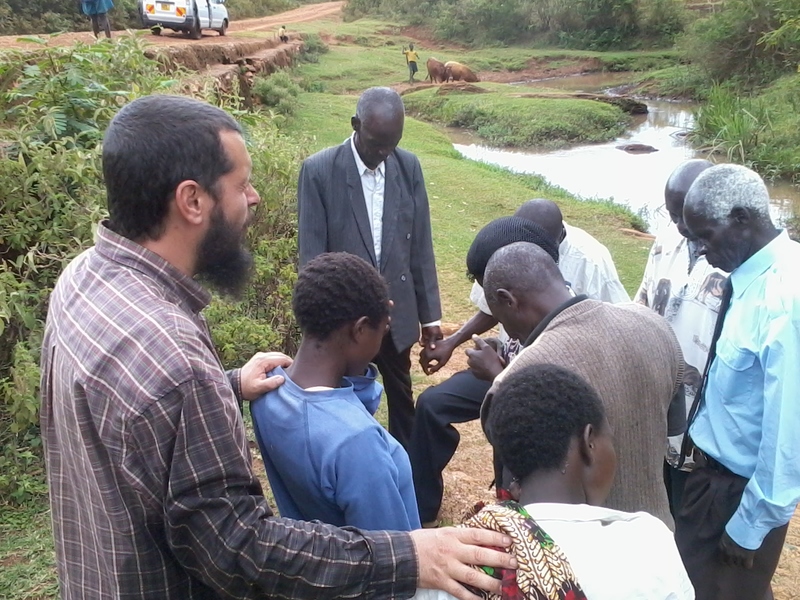 Nairobi disciple met with 8 muslims today and presented the Gospel of the Kingdom, and 5 surrendered to the Kingdom, did spiritual inventory, repented, and were baptized. In Mroki, I led 6 to the Kingdom at one location. We gathered a bunch of neighbors into one home. They all surrendered. Went through next steps and they are ready to repent and be baptized. I then coached a young pastor to go thru inventory w them, bring to repentance, and baptize them. Then I coached him on organizing them as a home fellowship and shepherding them from behind the scenes. I gave him KES and highlighted what we had just discussed and Shepherds Storybook for the brand new house church. Praise God for so much fruit in one day! Oh, Cindy had a great day too. Met w two disciples with awesome progress. Kiminini is a rocking place for the Kingdom. We now have eight Kingdom Christians within a stone’s throw here–I mean almost all our neighbors. Really cool stuff. You go to the local market/shop on our street, and there are always a few Kingdom Christians there fellowshipping. Everyone notes how this place is totally transforming since we arrived. I praise God for this. It really makes the sacrifices and hard moments worth it. Been sooo busy, no time to post. Cindy had mtg w about 20 yesterday. Great response. 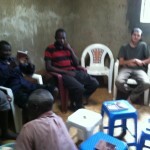 Coached Silas to go back to Mroki to prep nine folks ready for baptism scheduled for tomorrow. Finally received our shipment from US. Big blessing. Lots of visitors. Aniga and Silas, Rose and Rose, and Annette doing great. Kdmk annual mtg yesterday. Fellowship imminent here.God is awesome. Taught head of a large ministry and group of about 15-20 gospel of kingdom. Wow, what a response. One pastor had a vision of heaven opennong up and this message coming down while I taught. Several surrendered including a muslim.He did in a great way. He got up and said he had never heard such a gospel and for the first time in his life he can say “praise the Lord.” I am beginning discipleship tomorrow. He said he wants to share this message with everyone he knows. Well, this organization shares much of our mission but has a 10 yr head start. They are mapped and organized regionally and will be instrumental for developing my itinerary. Praise God. Spent afternoon with new disciple Yusef. He surrendered everything for the Kingdom. His wife is also on board. He totally understands the Kingdom and has so much faith. He lost his job as instructor at the local madrassa school and will also lose his apartment which is paid for by the muslim school. This couple makes ideal disciples. They embraced the Kingdom better than anyone I have every ministered to before. They already intend on starting a house church, preaching the kingdom to all, and making disciples. Did spiritual inventory today and gave them reading assignments prior to their baptism next week. You will here of this man again and again. I have extreme clarity that this man will be powerfully used for the Kingdom. Cindy taught large group of women today, about 30, with weak response. Late start and all they cared about was wrapping up. I taught same group last week w same response. We are done with that group. We will let those who are serious come to us. cindy did spiritual inventory w couple disciples today. i shared kingdom w 17. so far 2 surrendered. many believe but fear surrendering due to regional religious stronghold. praying to baptize several saturday. two who surrendered are married couple ready to start house church. festus baptized 8 today. glory to God! Four surrendered and completed spiritual inventory today. Cindy has one disciple prepped for baptism. 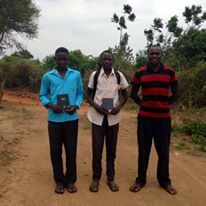 Festus planted two new home fellowships. Another fruitful day. God is great! Several spiritual inventories and repentence today. One a feared witch. Two baptisms and one new house church. We praise God. Give to those who ask. What a clear command. Poses a challenge when folks ask all the time and the more you say yes, the more they ask. Trying to strike a balance between needs and wants, and filtering out manipulation and abuse. Pls pray for Cindy and I to be discerning and exercise wisdom. There is an assumption we are rich cuz we r white Americans, but in actuality have very limited resources. Finally home from the mission to Eastern Kenya. Training a new team from Nairobi: David on lead, Joseph, Noah, and Godfrey for Lk 10 teams. This mission not as anticipated. TOld to expect 50 pastors; found 15 widows instead. 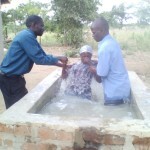 We did see many repent, including a witch, and started one new fellowship after baptizing a couple Justus and Elizabeth. Just baptized three folks: a muslim leader and his wife (Yusef and Florence) and Rose’s son Georgie. Doing spiritual inventory with two folks as I write this. Also included are photos from the baptism of Justus and Elizabeth in Eastern Kenya. The power of multiplication! I have a week off due to a scheduling mistake by the coordinator of the mission I had on the calendar for this week. But the work continues. David Wanjala was called to Kisii by Festus, his prize disciple who baptized 8 last week and planted two new home fellowships. 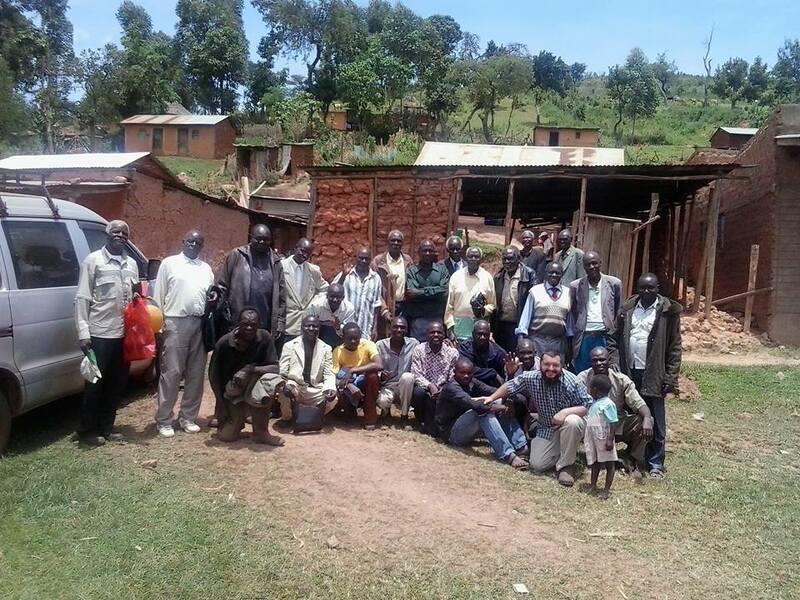 The traditional (institutional) pastors in the area were in awe as to the enormous success of Festus’s ministry and asked me and David to go to Kisii and teach them. Well, since I had a mission scheduled and had several baptisms planned this week, we sent David solo. Below is the report from David. The consensus of followers of my facebook posts is that the amazing DAILY fruit of this mission is unprecedented and frankly, hard to believe. Well, we have done nothing in secret. 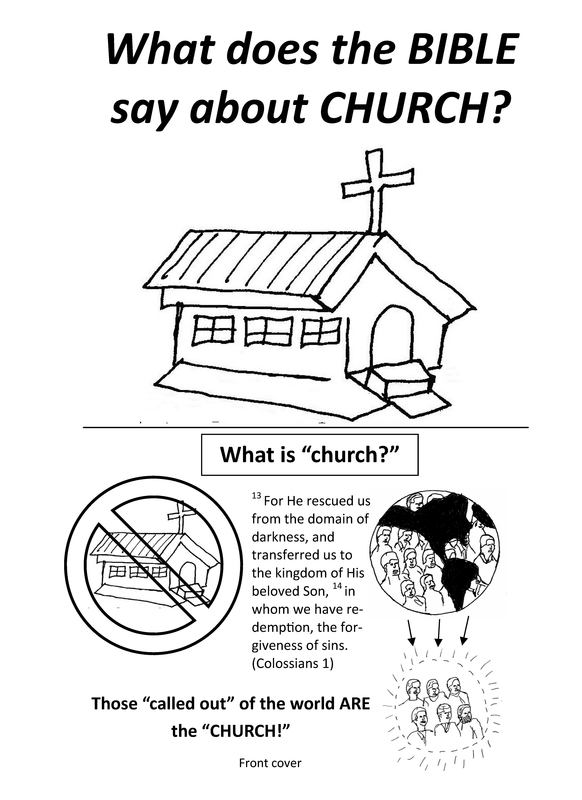 Our mission message, model, and method is published and available for free for all. It is simply New Testament practice and early church doctrine applied in the most practical of methods. Low budget, no formal education, no institutional controls; just a movement launched multi-generationally and organically. If you would like to see such fruit in your location, go to www.kingdomdriven.org and read and apply the materials found there. We are literally just applying the field-proven resources we have published. 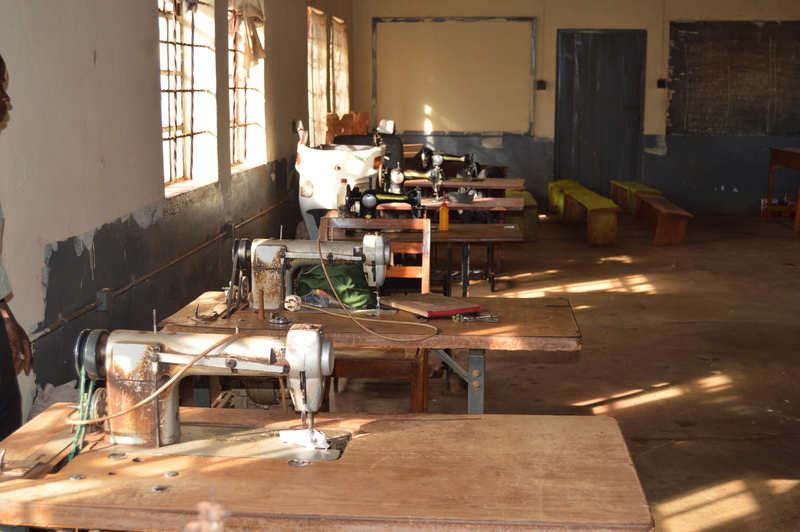 Or if you want hands-on training, schedule a two or three week visit with us here in Kenya, and we will train you. You are very welcomed! Many microloans going out. These are another tool used to keep our mission low budget and get a good team for a workforce. For example, you may wonder who supports David and Festus, or even Silas, Henry, Tonny and Erastus. These men are all KDM teammembers who receive not-a-penny of support. But they ALL have received one-time microloans or gifts to support their families which allows them to commit undivided attention to Kingdom expansion. Employees with no salaries: folks laboring for God’s glory, not a paycheck. Love it! Here is a report from the front lines: from Festus, David Wanjala’s disciple, a man whom I have never personally met. “David, the pastors and leaders appreciate much of what they heard you teach here. We have gone out with them in twos and today we have just baptized 5 people. The 13 pastors you went through inventory with them have started house churches already. The baptized 5 had no bibles and therefore I gave one each. 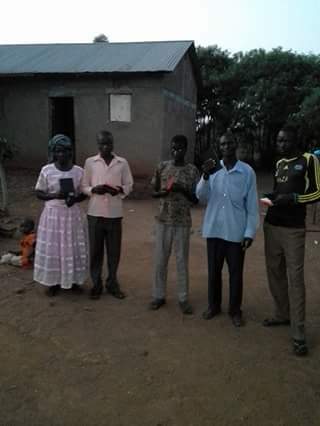 They come from another village a bout 3km away and therefore I gave them the shepherds story books to start house churches. By the way, did you realize that amongst those pastors you taught there was one visitor who is a senior man in Kenya Department of Defense? Immediately you left he came to me and said he had never heard of what you taught though he was in church for so long. I went through inventory with him and he told me to tell you that he is organizing for a meeting in Lanet barracks for you to teach a bout 120 soldiers for 3 days, then move to Eastleigh for other group of a bout 50 soldiers.He says he is doing it in one week from now. He asked me for your email and telephone number. This is awesome brother. You still have much to do. I will be in Nairobi shortly to see you and the progress of my business then back in the field. The pastors liked the books especially KES and TWO KINGDOMS. Here is a great report emailed to me today! Some info concealed for security reasons. “Hi Marc! I don’t know how to call you but from my point of view you must be an apostle. Well,i am one of the former 3 Imams if at all you heard of it,who surrendered to the Kingdom message which was preached to us by beloved David in ?????? ?.We were baptized publicly and it brought rough time on us. We received threats to be killed by the rowdy Muslims so,we ran away with no intention of turning away from Christ whom we proclaim as now the Lord. David gave us bibles and Shepherds Story books.We started a house church in ???????? in one of our friends house who also accepted and surrendered and baptized him. We are living in a rental house, my house was burned immediately i ran away from ???????? ?.They stopped paying me even for the work I was doing. I called David and he sent me some of his clothes for us and our children.This doesn’t shock us, Jesus says it is blessings to be poor, I just read it Yesterday. We have been secretly teaching this message to our Muslim families here and now we have 17 Muslims converted by the Gospel of the Kingdom. We are baptizing them tomorrow about 5 kilometers away from Muslim community.The strategy is that after baptism we send them to our extended families far apart to ensure that all our families have received this message. we are doing this immediately. I will be back to ??????? ?????? evening to collect my documents i left with one of my friends.I will look for David and be back by ????????. Now, though this is happening, the challenge is that we have no resources until we get on our feet again.This dear ones need bibles, Kingdom Expansion Series,tracts and shepherds books. If KDM can be able to support us for the time being at least 25 English bibles, 15 swahili bibles and as many Kingdom Expansion Series and Shepherds storybooks as possible just for once because we are organizing to start buying ours with the funds that we are expecting. Please help us if this email reaches the head of this missions. Otherwise, blessings. Taught gosp of kingdom to 18 yesterday. well received. 4 pastors present. encouraging testimonies after. highlight was a woman who attended teaching two weeks back who was very sick, likely malaria, testified that she was healed when i had prayed for her. an observation. seen miraculous healings in the US, but pray for 10 and see only one. here, pray for two and see one healed. i think it is their God-RELIANCE, FAITH, AND SPIRITUAL WORLDVIEW. 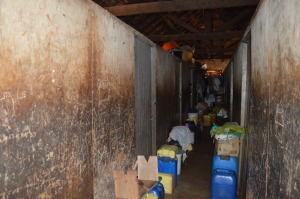 They have no money for alternative care, and deal with curses and witchdoctors as common fare. so a disproportionate number of healings here. in west, you reach for advil when you have a headache. they pray. annoyance is they want me to pray as if i have the power, and not the God i serve. funny story. woman had bad headache and asked for prayer. prayed for her and then offered her advil. she refused meds cuz headache was instantly gone. we had several healings at the eastern mission. 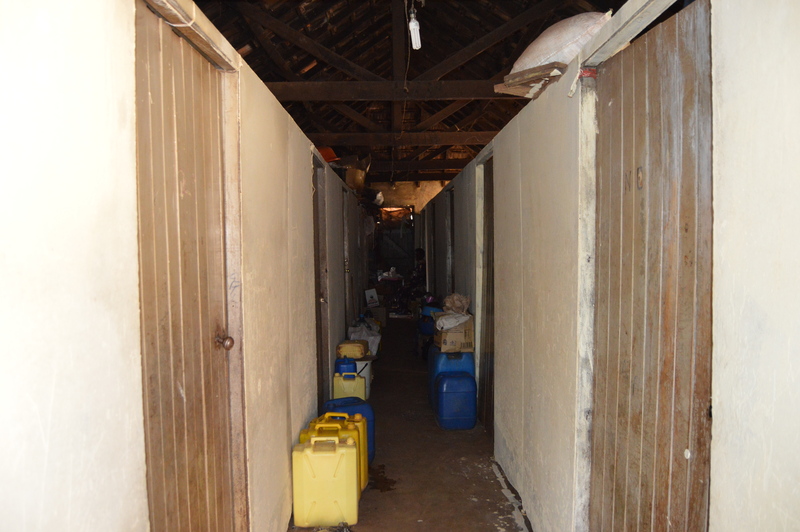 one elderly widow had tingling in her left arm, sign of possible heart condition. immediately healed.